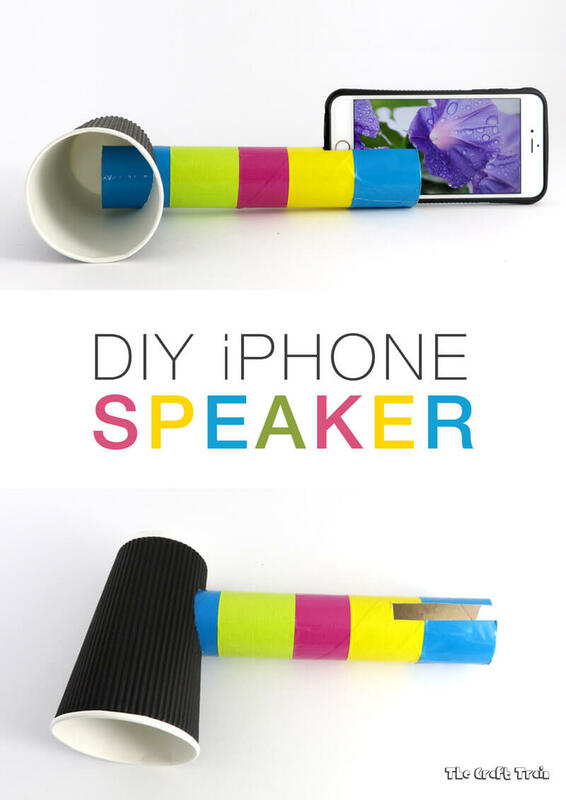 Did you know you can make a working DIY iPhone speaker using a paper cup and a cardboard tube? This is a fun STEM craft for kids which demonstrates how sound can be amplified. 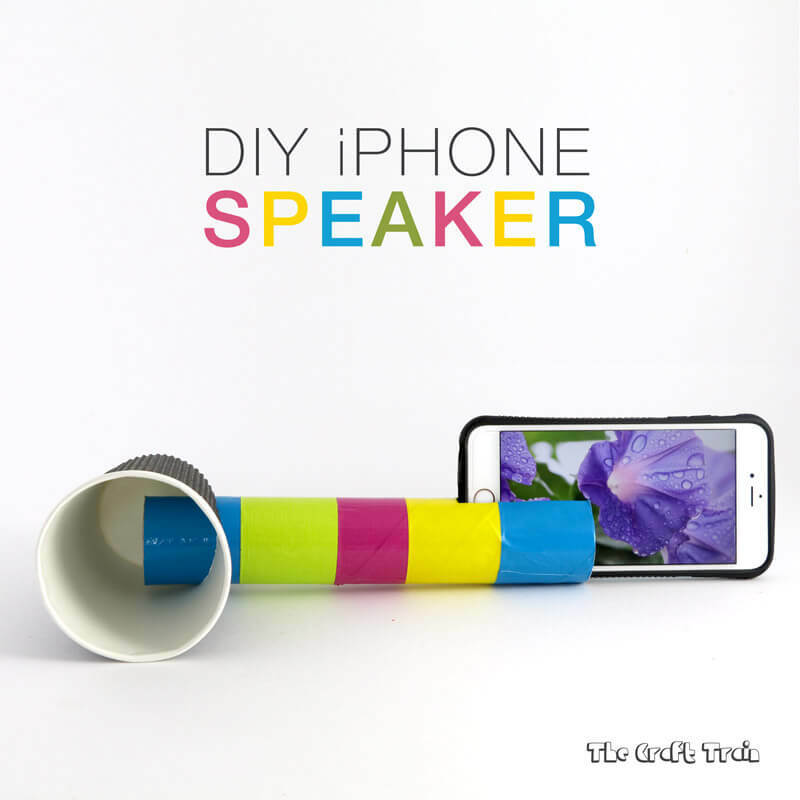 How does a DIY iPhone speaker work? The speaker on an iPhone is on the bottom right corner. When you place the iPhone into the DIY stand the speaker points directly into the cardboard tube. The cardboard tube feeds the sound into the cardboard cup, which directs the sound out at a smaller angle than it would have come out otherwise (without the speaker). Sound which has been directed into a smaller angle sounds stronger. Think of a megaphone made from a witches hat, a classic paper cup and string telephone, even the way your voice sounds inside a cave or tunnel – these work on the same principal. You can find some pretty cool handmade acoustic speakers from ETSY. 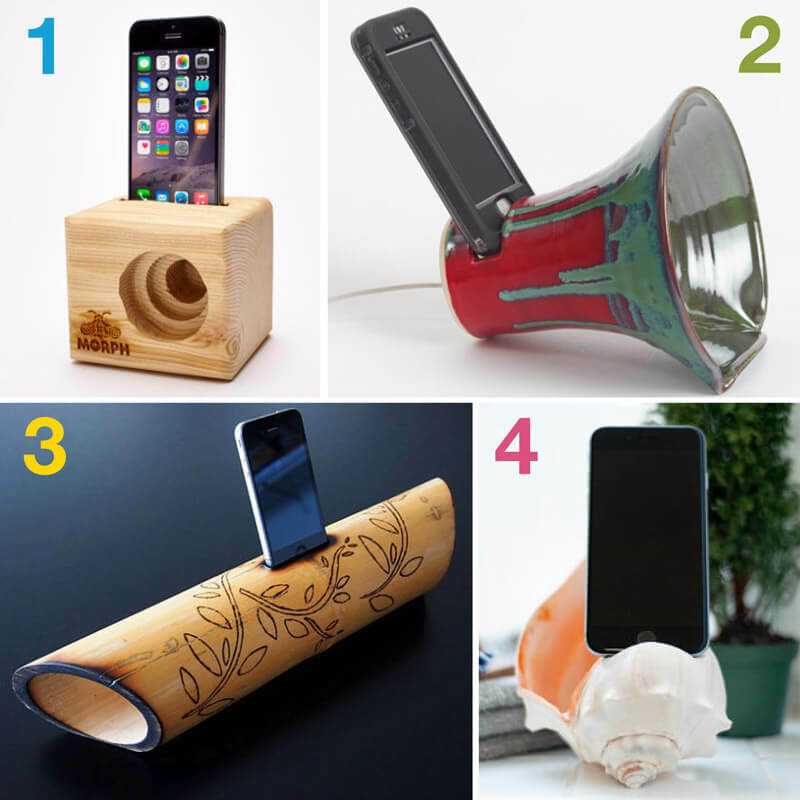 These all work in the same way as our cardboard tube one does – by channeling sound. Here are a few examples, remember Mothers’ Day is just around the corner (wink wink). • A paper cup (or plastic cup will also work). I have used a tall cup but any will do. 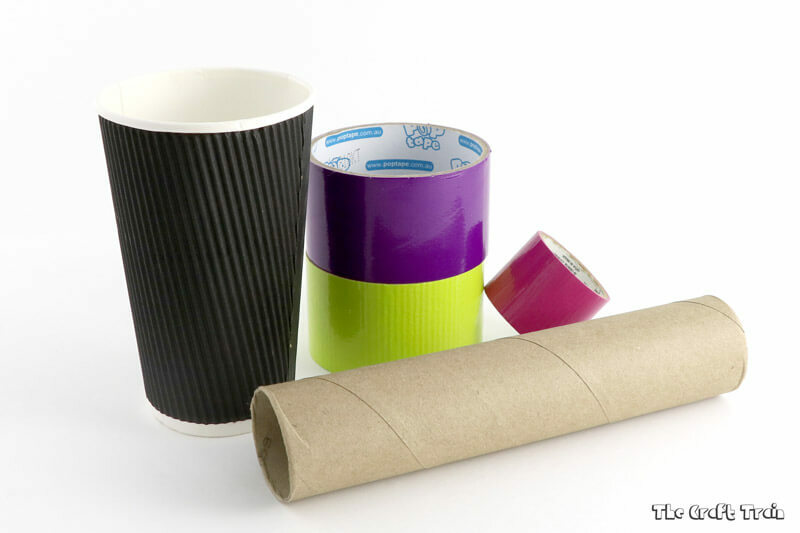 Step 1| Trace around the end of your cardboard tube with a lead pencil onto your paper cup. Cut a hole the exact size. Step 2 | Cover the cardboard tube with duct tape. Step 3 | Cut a square slit the approximate width of your iphone on one edge of the cardboard tube. Poke the other end into the cup. • What happens to the sound when you remove the cup? Is it louder, quieter or the same? • Try placing your iPhone into a glass measuring jug or a glass bowl – what happens to the sound? If you use a plastic bowl does it make a difference? What else could you use? • Try using a longer or shorter tube. Does it make a difference? • If you place a cup at each end of the tube and prop the iPhone upright in the middle does it sound louder? Why or why not? • What modifications could you make to improve how it works? • How many instruments can you make from a paper cup?